When is it OK for college girls to wear sport pants? See the flowchart below, it will help you make a decision. 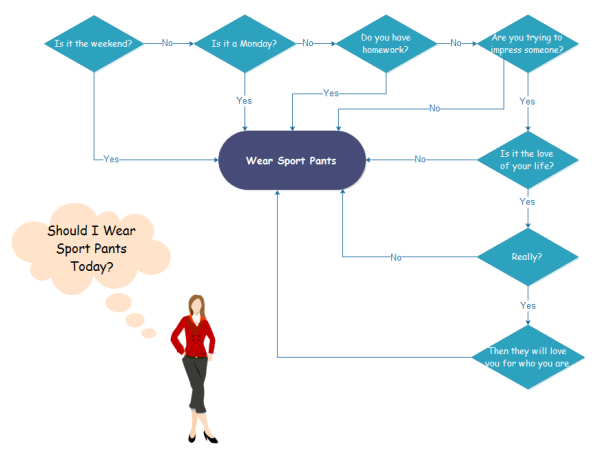 Should I Wear Sport Pants Today? A funny flowchart helps you break down the stereotype of traditional flowchart and increase your creativity. Click here to view more funny flowcharts. Discover why Edraw is an excellent program to create flowchart. Try Edraw FREE.